When should I begin sleep training my baby? What age is best? I get this question a lot. Every day parents ask me, “When is the best age to sleep train?” The truth is that it’s not a cut and dry answer, so my honest response is “at any age”. The key to success is to begin sleep training when YOU are ready to teach them and having the right plan in place for your baby and their age. Your baby is going through milestones almost weekly until their first birthday. 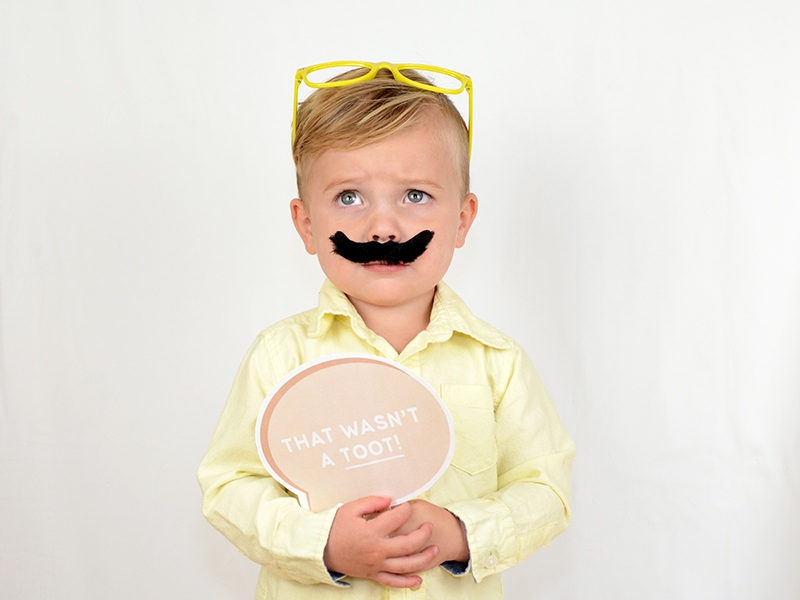 What with teething, leaps, growth spurts, sickness and everything in between, there is always something holding us back from committing to ripping the band-aid off and just getting it over and done with. I, just like you, want to train your baby at the best time possible so that things go smoothly and peaceful nights and glorious naps arrive quickly. In my experience, there are some sweet spots for ages and development, but it’s not always the case. 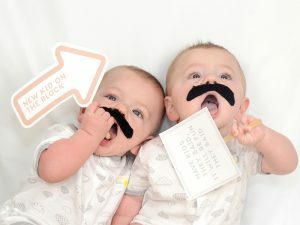 Let’s break it down by age and examine the benefits of starting at each age, and how I personally feel about training babies at this stage and what it might look like. This can be a tricky time to sleep train and requires your consultant to do lots of discovery during a free call to give you proper guidance on your personal situation before proceeding at this age. Some babies have not yet gone through their “4-month sleep regression” which means that the structure of their sleep has not yet changed to mimic adult sleep. 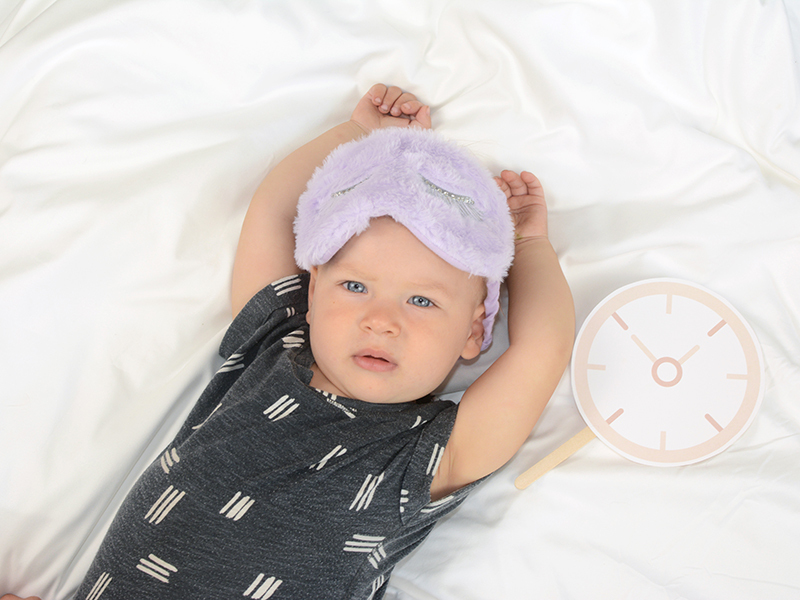 Some babies haven’t got their sleep hormones or circadian rhythms going in their little bodies yet and may struggle a bit more in the early days than older babies would. With that said, the end result is 98% the same, the other 2% need a little longer to reach their goals, but this is true at almost age. Within 2 weeks or so, your baby will be going down in under 10 minutes with little to no fuss, sleeping through the night with or without 1 feed, and having good naps. But you should expect to see a few more tears to get there. This is a super sensitive age for weight gain, and sometimes we just aren’t ready to make the sleep adjustments. My honest recommendation for inquiries at this age is to investigate deeper into whether the baby is “ready” and postpone the actual training until 4 months. For some families, myself included, waiting was just not an option. I was desperate, but my consultant did everything she could to make it as smooth as possible and prepared me along the way. This is VERY important. So don’t let this deter you if you need help now. This is actually one of my favourite ages to sleep train! Your baby is alert, feeding well, has gone through the sleep regression, and is likely driving everybody crazy in the night time and nap time department. In just 2 weeks, the transformation at this age always seems so dramatic, and I love how much more confident I see families become – especially the dads. Boy oh boy, the dads really find some purpose in their parenting here, and I make sure to get them involved. Parents are always so surprised to see what their babies are capable of and I love what I am able to teach parents about this age group. I set you up for long-term success by walking you through all the future milestones and how to keep sleep peaceful for years to come! For many reasons, this age group is easy to train, but it’s also where I exercise the most caution. Lots of things are going on in your baby’s brain at this age and sleep training, in my opinion, should be handled by a professional during these months. For a lot of families, once the regression hits, they spend the next couple of months hoping for better nights, while battling teething and growth spurts etc. and finally hit a breaking point and decide to let their baby CIO out of sheer desperation. They commit to this for a few nights, maybe even a couple weeks, but the limitations of this method are not fully understood, so they do not implement it correctly. Nights look better, but there is lots of crying when it’s time for baby to go down, and things really come unravelled within a couple months. I usually get a call at 8 months when the family are at rock bottom. The challenge is, at this age, it is so easy to accidentally teach your baby to cry than to teach them to sleep, this in my opinion is why, in my opinion, the Ferber (CIO) method is so controversial. Your baby is more than capable of learning to sleep, they just need their very sensitive needs met and milestones taken into consideration. So please, hire a professional. It is tough to undo teaching a baby to cry vs teaching them to sleep, and it can then be a gruelling experience for everyone involved. They are busy and inquisitive, they are eating big-people food and too busy exploring the world to nurse or take the bottle very well because they just do not want to miss a thing! This age group is where we both have to be the most consistent. They are watching your every move; it’s very amusing to see them be such opportunists. This group usually rock out their plans like a boss but struggle with naps, so some extra work to establish nap length is needed from moms and dads. They are also on my favourite sleep times; 2 naps a day, 7pm-ish bedtime, so mommy and daddy get some time to enjoy each other and feel more energised. I have a love-hate relationship with this little group. They are SO, SO smart and their parents often need their eyes opened as to just how smart they are. Most of the coaching is for mom and dad at this age. Since sleep has been so tough for so long, the routines and challenges are usually deep-rooted in mom and dad, as well as the child. The babies take to it quickly, but really know how to push everyone’s buttons during the process. For me, this age just feels so late for everyone to gain the benefits of sleep. Now I don’t mean that it’s not worth sleep training! I just wish families had found me sooner. I know the blessing of peaceful sleep for everyone in the family and I honestly just wish they had it sooner. Your little one’s growing independence and ability to understand the world and how it works makes sleep training this age group much tougher. Depending on your child’s individual behaviours and personality, we may have to try another approach to sleep training that can take much longer to gain results. That should not put you off sleep training at this point since sleep at this tender age is going to play a fundamental part in your child’s ability to learn and grow and be a busy and active child. What it does mean, is that I will be going to bat for you, pulling out all the magic with a bag of tricks to get you all to great sleep and peaceful nights as fast as possible! So, when is the best time to sleep train my child? My answer to this question is still, “at any age”. Do not let any of what I have written above scare you in or out of making the decision to sleep train right now! Every single child responds differently, and I build a plan that takes your child’s individual needs into consideration. There is so much value in my free consultation, during which you can share your situation with me, and we can see what the most realistic option is for you and your family. I have a 100% success rate for a reason. We never push your baby to do something they are not capable of, nor do we manage them in a way that doesn’t take their developmental needs into consideration. This is incredibly important. If you have already resorted to sleep training and it isn’t going well, stop where you are, pick up the phone, and call me now. Please! With or without my help, I want you to meet your sleep goals… But a little free advice never hurt anyone, now did it?